ASP offers some of the strongest quays in Europe. 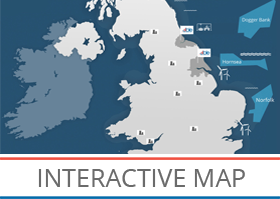 It is at the heart of the UK offshore wind zones and crucially, the infrastructure is already in place, making it available now for the offshore wind sector to use. Planning consents are in place for offshore wind manufacturing activities and the full erection / assembly of offshore wind turbines, making it, a unique location for manufacturing, construction and deployment of offshore wind turbines and associated components. ASP is a great port for break-bulk and offshore wind projects in the future. Furthermore it provides an efficient route for the handling and delivery of both on and offshore wind turbine components. ABLE operates its ports locations differently to most conventional ports. ABLE is a privately owned company and prides itself on an ability to take decisions and stand by them. Customer relationships are crucial in today’s modern offshore industry and the stakes are high. We understand it is important that operations are undertaken seamlessly to avoid costly delays during the construction phases of the wind farms. The dry dock is ideal for the construction / fabrication of large scale components such as gravity based (concrete) foundations, allowing for a variety of manufacture and load out concepts to be tested and implemented. The dry dock can be used for prototype and serial manufacture of gravity based foundations. ABLE continues to play a pivotal role in offshore wind development and upholding the dry docks esteemed reputation as the birth place for previous pioneering projects, today embarking on the early stage development of new exciting concepts.